Ruland uses aseptic technology when it comes to the production of high-quality and sensitive products. To avoid the contamination of preserved products during processing, a consequent process design and aseptic components are necessary. This applies to all foods and liquids that are filled in a cold process. A gmp-compliant system design is mandatory for nearly all pharmaceutics. 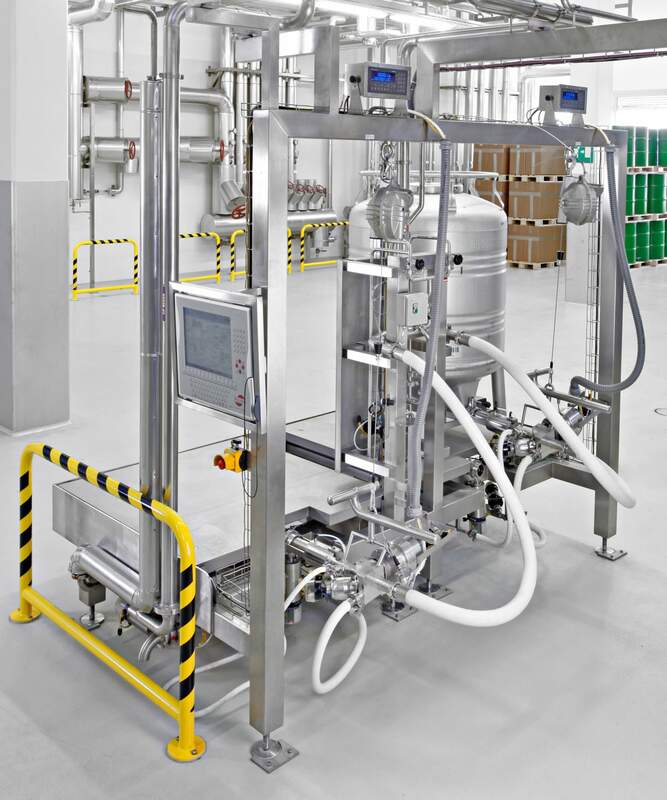 In addition, process systems for cosmetics and fine chemicals need an aseptic design. Ruland designs the systems and chooses the aseptic components according to the gmp- and EHEDG guidelines. 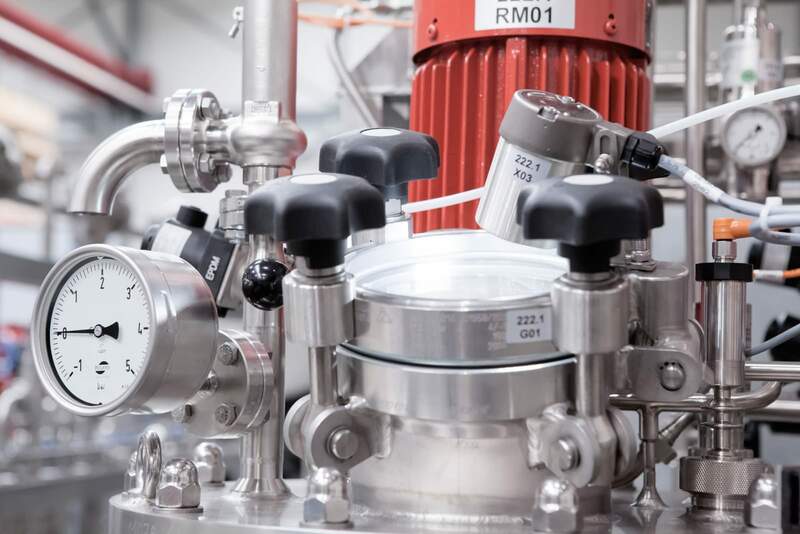 Our engineers always have to take specific product requirements and individual circumstances into account, but the consistency at the process control is indispensable for an aseptic design. After the pasteurisation and sterilisation of the product, the process including the product filling and –packaging need to be sealed from the environment. Harmful microorganisms must not encounter the product. Therefor all processpaths and containers are sterilised, and systems as well as components have a hygienic design. 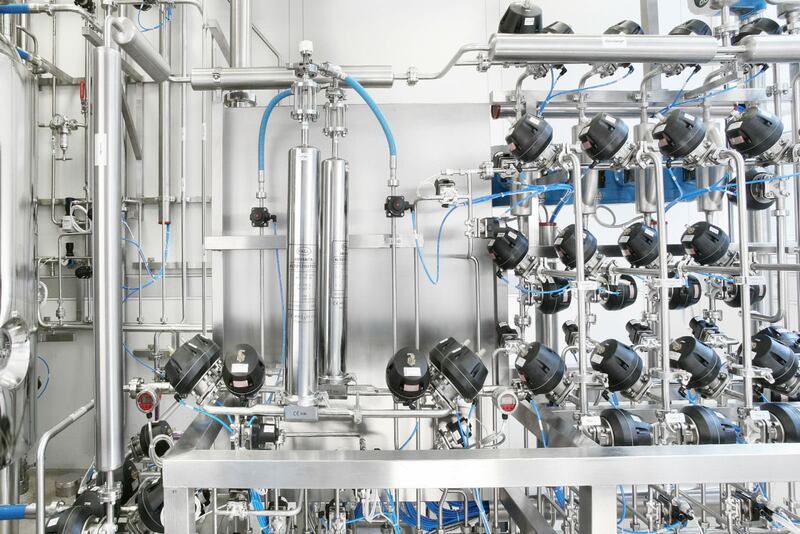 Details count at the aseptic production: fitting tools, cavity reduced and gap free construction of systems and aseptic components, optimal idle quality, aseptic valves with hygienic seals and appropriate measurement- and control technology. There are several procedures to achieve a germ-free product without destroying sensitive substances. It depends on the respective product and its ingredients. The pasteurisation, the short-term heating with flash pasteurisers and the ultra-high heating system (UHT) heat the product at different temperatures and different durations. At the sterile filtration, process filter separate bacteria and other unwanted microorganisms from the product. For the aseptic storage, we construct tank farms with accurate hygienic conditions including stainless steel tanks with a load capacity up to 1.5 million l and more. If requested, we perform these tank farms fully automated. Aseptic valve clusters connect the tanks with the filling- and emptying line. Therefor special aseptic valves separate the unsterile area of the system from the sterile area via a vapour barrier. In addition, such valves ensure leak tightness at the CIP. For our customers this means a maximum of safety and operating comfort. The cleaning of the complete system unit takes place at a closed system via Cleaning in Place or Steaming in Place (CIP/SIP). That is the reason, why we choose all system parts capable for the CIP cleaning and e. g. corrosion resistant. At the end of a production or at a product change all system parts and pipes are cleaned at a defined order of cleaning processes with acid, caustic solution and water. The SIP procedure uses sterile steam to clean the system. Besides, our Whirlwind system uses compressed air. Thanks to its low consumption of water and detergents, it offers an environmental-friendly alternative for clearing and cleaning the pipes. Next to the corresponding expertise when choosing the aseptic technology and the appropriate system construction, a perfectly adjusted process control is very important. It controls the processes like heating, product transfer and rinsing of the system units. In addition, it regulates the process set points and monitors the compliance of the limit values. The automation system directly reports errors at the visualisation, documents all processes and ensures this way a continuous product quality. A consequent aseptic production does not allow any weak points. Also at the container handling, the temporary storage at aseptic containers and all further logistic stations during production, aseptic transfer systems are very important to guarantee the product Quality. Aseptic technology or hygienic design? We would be delighted to advise you personally, which design is the best for your product.